Last night I asked Michael to look up one of the videos that my family always jokes about on YouTube. He found it, and it’s even more ridiculous than I remembered. This led to me looking up other videos and TV shows…which led to me staying awake half of the night with the ridiculous songs in my head. This is the video that started all of it last night. I can’t believe this was actually made into a movie — and that it was supposed to be a great tool for parenting. One of the teachers at my dad’s school let us borrow this video when my sister was 2 or 3. Although my parents did not use it to potty train my sister, my brother and I memorized all of the songs and would show the video to all of our friends. We were 9 (or 10) and 12 (or 13) at the time. I have no clue what the actual video is called (and this is just a few of the highlights), but we’ve been singing “She is a Super-Duper Pooper” for over 10 years now. Is that weird, or what?! Do you know of anyone who has actually used (and been successful with) videos like this? This is the first of a 3-part video. The middle one is just ok, but you will definitely want to watch the third one. Sam Sprocket dances across an entire field at the very end. Priceless. Good stuff, huh? If only we could all be as cool as Sam Sprocket — or Rebop. Then I wanted to look for a couple of my favorite TV shows growing up. “Under the Umbrella Tree” is the first TV show that I have any memories of. And it’d be a lie if I said that I didn’t tear up a little when I saw this last night. This intro really took me back. Does anybody else remember this? What was your first TV show memory? I can’t remember perfectly, but I think that I was only able to watch “Fraggle Rock” at my Meme and Pawpaw’s house (since they had cable and we didn’t until I was in the 2nd grade). Did anyone watch this? I liked it more than “The Muppets”. “Adventures in Wonderland” was one of my favorites when I was a little older. I remember thinking about how cool it would have been to be Alice! What was your favorite “Alice” show/movie? And lastly, “Weinerville” was a favorite for my brother and me (and our dad, but I don’t know if he’d admit it) when I was in 2nd grade and he was in Pre-K. I can remember getting ready early so that we could watch it before school. I’ve looked for clips of “Boney the Dinosaur” but I can’t find any. Hm…I wonder why this show isn’t on the air anymore… Were you ever “lucky” enough to catch one of these episodes? So there you have it: Part 1 of “My Childhood per YouTube”. I have a feeling there will be more to come…it was a lot of fun to watch these again. I’d love to hear about your childhood shows and/or any weird videos your family watched! Michael and I have a thing for marathoning TV series. It seems to have become a sort of tradition for us. Two summers ago we decided that I needed to catch up on “The Office” before the next season (at that time it was Season 5) started in the fall. Michael had been a fan from the beginning, but I’d never seen an episode. In fact, I hadn’t even heard about “The Office” until I was at The Forge (leadership training program), and then it was impossible to do anything to right that wrong since we weren’t allowed to watch TV (or movies) for the duration of the program. After I graduated from The Forge, we started watching through the seasons. Michael already owned all of the seasons on DVD, so it made for cheap date nights. We were engaged and we’d decided to not be in a house by ourselves, so we watched many-an-episode either on my porch or at the park. One of my favorite times was when we were shopping in Norman, OK one day. I’m pretty sure we were registering for our wedding gifts. Anyway, we had brought Michael’s laptop, along with one of the season DVDs (of course! ), and we decided to sneak in an episode (or two, or three) while we ate. So we bought Papa John’s pizza and had a picnic close to the university while we caught up on some more episodes. We finished the first 4 seasons in plenty of time for Season 5 to air. And for the past two years, we’ve watched it (usually online after the TV showing) at the normal pace. 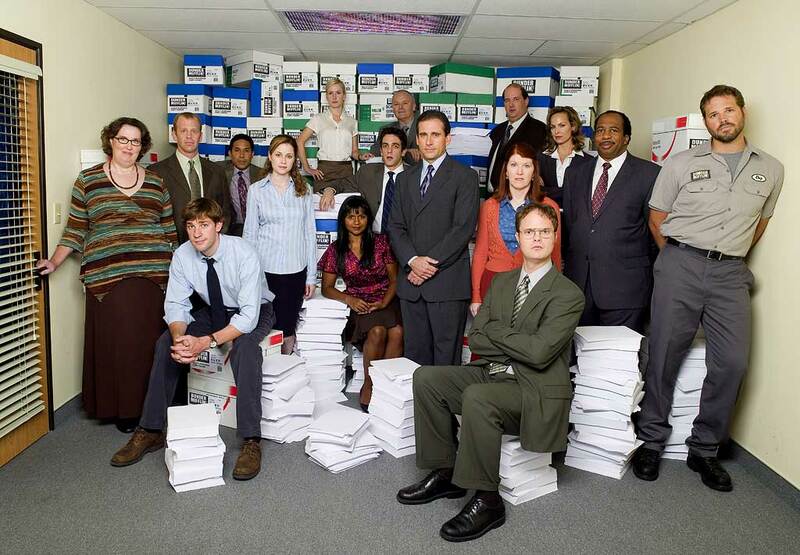 WHAT WE LOVE: “The Office” cracks us up. Creed is probably both of our favorite character; he says the most ridiculous things and he’s such a creeper (but in a funny way). It’s hilarious to watch the characters interact. There are so many awkward characters, which makes for so many awkward moments. It’s classic. I think the thing we love the most is that it’s a brainless break with lots of laughs. This is one that I was a little hesitant to start watching. I’d seen part of one episode with Michael and my roommate, Maranda, when we were sophomores in college, and I couldn’t understand any of it. I definitely didn’t see what they hype was about. I was really confused about the whole “real time” thing. Michael, however, had started watching it the Christmas break before. Seasons 4 and 5 had been on sale at Blockbuster, and he decided to go for it. He and his mom were the only ones home and they both got HOOKED. They watched Season 4 in 2-3 days, and then watched half of Season 5. He finished 5 right before classes started in January — just in time to watch Season 6 as it aired. The winter/spring after we got married, Michael would catch Season 7 on HULU after they aired each week. (By the way, between 6 and 7 was The Writer’s Strike” so they didn’t have a season.) He was always SO into it, but I wasn’t really interested. Besides, I was SO busy trying to finish school. After I graduated at the end of last summer, I told Michael that I’d try to watch a couple of episodes of Season 1 (he’d bought this one too, but he’d never seen it). Let’s just say “a couple of episodes” turned into us watching (and buying) ALL of the seasons before Season 8 aired this past January. That’s 7 Seasons + 24 hours each — which equals 168 hours (plus a 2 hr feature in-between 6 & 7) in 6 months!! We barely finished Season 7 (which is by far the BEST season) in time to catch 8 before they took it off the computer. Michael had already been obsessed, but he told me that I was officially obsessed the night I wanted to stay up and watch 2 more episodes even though it was “past my bedtime”. What can I say, it’s a great show! 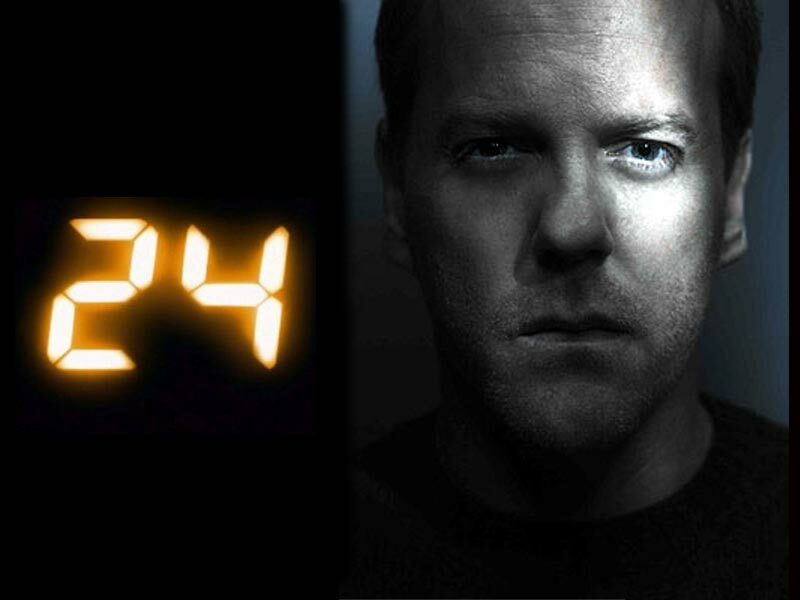 WHAT WE LOVE: 24 is about as suspenseful as you can get (in our opinion). We absolutely love how it pulls you in and you “have to” finish the season once you start it. The writers were absolutely ingenious to do the show like they did. We love the fact that it’s in “real time”; it’s awesome to be able to see the events unfold over the 24 hour time period. When I first started watching it, I was so impressed with the multiple camera angles on the same scene. They just do such a great job. We also like how attached you get to the different characters. Jack is our favorite (I mean, come on…he’s Jack Bauer) and Tony is my #2, while Bill is Michael’s. We’re so sad to see it end, but we’re really excited about the possibility of a movie in a few years! Neither one of us had ever seen “LOST”, but we know lots of people who are/were completely obsessed with it. It was one of those things that we just didn’t know if we wanted to commit to it or not. But when “24” ended in June, we promised Danna and Jonathan that we would start “LOST” if they would start “24”. So we watched the pilot episodes of each show together, and then switched DVDs. People had told us that if we liked “24” we’ll love “LOST”, but it was nothing like it. They’re completely different types of shows. We really liked “LOST” from the beginning, but it’s not like “24” at all. When we watched “LOST”, we felt like we were watching a good novel — if that makes any sense. We watched it leisurely since there wasn’t any big deadline to make (like with the others). However, somehow we still ended up finishing it in less than 2.5 months. We loved that we didn’t have to wait weeks and months and years to get to the end. I don’t think we could have done it if that was the case. There were just WAY too many questions at the beginning (and throughout the other seasons) and it would have been frustrating. But watching it like we did was great! WHAT WE LOVE: Like I said earlier, we loved that it felt like we were watching a really good novel (think Ted Dekker). The writers and cast did an absolutely incredible job developing the characters. We truly felt like we were a part of their lives. One of our favorite things was watching one of the characters go from being an absolute jerk to a leader who actually cared about people. From the beginning, we were more into the characters’ stories than having all of our questions answered, so we thought the ending was perfect! We also liked how they weren’t afraid to bring up religion and all kinds of issues in the series. It gave us SO much to talk about — we only wish that we could have talked to other “LOST” fans about it while it was happening instead of after the show was finished. Michael’s favorite character is Charlie, with Sawyer and Hurley tied for #2. 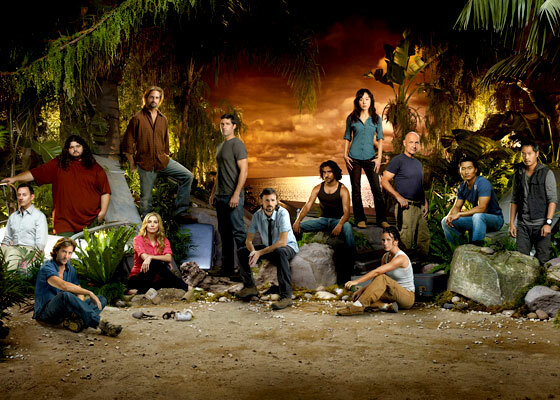 Sawyer is my favorite, with Hurley as my #2. It truly is an amazingly creative show. 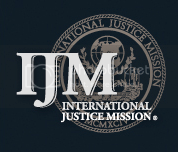 So there you have it…our Marathoned Series. We’re not TV watchers at all, but we really like movies, and watching the Season DVDs feels more like a movie to us. There aren’t any others that we’d like to start (unless you have any suggestions). Since all of “our shows” are over (well, “The Office” isn’t ending until probably after this season), we’re going to give a new show a try. “The Event” on NBC. We’ll probably have to watch it online after it’s been aired, but it looks really good! Q for you: Do you have any “shows”? What are your favorites? Any you’ve seen advertised for the fall that look good?